Three-day international meeting "ASGE Ambassador Program" organized by the American Society for Gastrointestinal Endoscopy, Serbian Society of Gastrointestinal Endoscopy and the MMA Clinic for Gastroenterology and Hepathology started today at the Military Medical Academy. This is the first time that this type of gastrointestinal endoscopy training has been delivered in Europe with the Military Medical Academy as host in education of specialist from surrounding countries, namely, Croatia, Bosnia and Herzegovina, Slovenia, Macedonia, Montenegro, Romania and Bulgaria. It is one of the most important events in this field, primary intended for educating junior doctors aged up to 35 years. 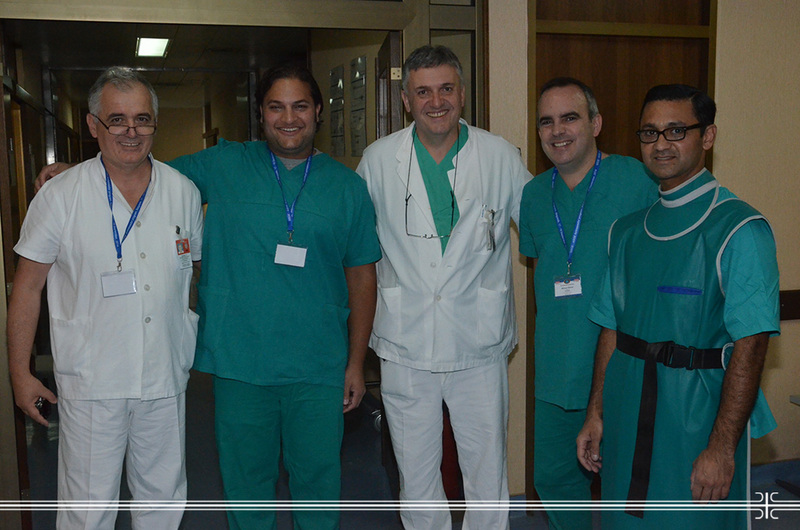 It is founded with the aim of improving endoscopic skills on the global level. Three-day scientific program will cover different approaches to diagnostic and therapeutic endoscopy problems, pharmacotherapy for the most frequent digestive tract diseases as well as the latest endoscopy procedures as mucosal resection, which has never been performed in our country till now. Procedures performances will bring together thirty regional endoscopists and three selected experts known as "ambassadors" from the American Society for Gastrointestinal Endoscopy while the audience will have the opportunity to closely view over 35 surgery performances live via video link from operating theaters. The event will also be attended by lecturers coming from United States, State of Israel, Republic of Turkey and region. "ASGE Ambassador Program" initiative has been established with the idea to raise the level of endoscopy procedures in gastroenterology through sharing the knowledge between experts and host countries, especially those in progress but also all the other having the interest to organize this type of training. Its basic goals are training and education of physicians, endoscopy and medical technicians aimed at better diagnostics and patient treatment.